How to change the size, color of the slideshow? Flash Slideshow Maker Professional is a template-based slideshow creator, however, there are lots of parameters can be changed to fit your website design. 1. Click the "Customize Properties..." under the them list. 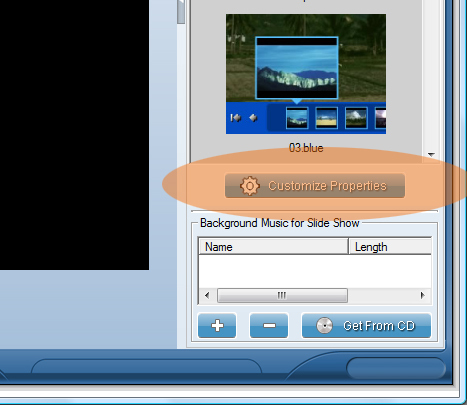 You can change the properties listed in the dialog. After changing the properties, you can click the "Build" or "Build All" button to view your changes. 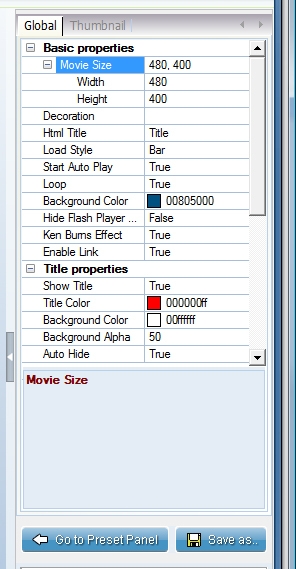 Then you can click the "Go to Preset Panel" to back to the theme list window.